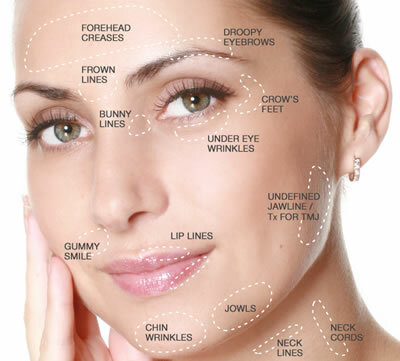 Although most people are very familiar with BOTOX® Cosmetic, clients are often surprised to learn that there are other neurotoxin wrinkle treatments available. Dysport® and XEOMIN® are very closely related to BOTOX®, and generally, they treat the same conditions. We have extensive experience with all three products and can guide you in choosing the best treatment for your needs. The best Dysport® in Las Vegas is with Thomas Pulice, PA-C as he is one of the most experienced Dysport® injectors in the Las Vegas area. BOTOX® VERSUS DYSPORT®, WHICH IS BETTER? For years, my patients have asked; Botox® vs Dysport®, Dysport® vs Botox®. My personal alternative to Botox® is Dysport®! While BOTOX® has been FDA approved for cosmetic use since 2002, Dysport® was approved in 2009 but has been in wide use in Europe for many years prior to 2009. According to the American Society for Aesthetic Plastic Surgery, millions of non-surgical aesthetics & cosmetic procedures take place in the U.S. Since 2008, over 80% of these represented procedures use products like Dysport®. Competition in this “in-demand” area has been driving the interest in products like Dysport®. Similarities and Differences. The most notable difference between Dysport® and BOTOX is that Dysport® seems to diffuse a bit more. For this reason, injectors must be highly trained when injecting areas such as the brow, as the effects of the product may spread. This quality makes Dysport® an excellent option for broader areas of wrinkling such as forehead furrows. Also a great choice for hands, feet & armpit areas to control excessive sweating. Dysport® dosage is also different from BOTOX®, and for some individuals, the results emerge more quickly and last longer. Thomas uses the highest concentration available to ensure greatest efficacy and pin point accuracy. WHERE CAN DYSPORT® BE USED? As in the picture below… A Typical Treatment covers 3 Areas; Frown lines, Crows Feet, Forehead lines, but it is also excellent for Vertical Lip Lines or “Smoker’s Lines”, for Migraine treatment, TMJ (Clenching or grinding of jaw & teeth) and Hyperhydrosis (Excessive sweating at armpit, hands & feet). Neck Bands, downward smile, dimpled chin and more.